With preparedness solutions that address emerging infectious diseases to chemical and biological threats, protecting and enhancing lives is at the heart of everything Emergent BioSolutions does. Emergent develops vaccines, therapeutics, and devices for some of the most notable diseases and threats in modern history, including Zika, Ebola and Anthrax. “Very few companies are focused on the public health threats market, which I think makes Emergent quite special,” said former President & CEO Dan Abdun-Nabi. 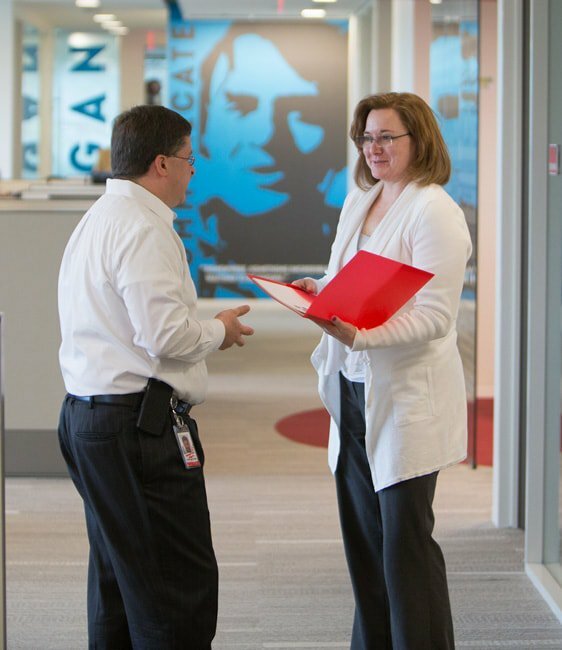 The company, with 1,300-employees globally (500 of which are in Maryland), researches, develops, manufactures, distributes and commercializes products from across its North American locations, including its headquarters and product development facility in Gaithersburg, two manufacturing facilities in Baltimore, and newly-acquired manufacturing facility in Rockville. Maryland is No. 1 in vaccine development.?? A track record of delivering medical countermeasures, reputation as a reliable producer of challenging drug substance candidates, along with investment in new manufacturing technology, such as single-use bioreactors and downstream equipment to simplify product changeovers, helped the company earn the DHHS distinction and secure a 25-year partnership with the U.S. Government. Through this partnership, Emergent is intended to provide surge manufacturing services during public health emergencies, develop products like a pandemic influenza vaccine and an Ebola vaccine and therapeutics, and other medical countermeasures. 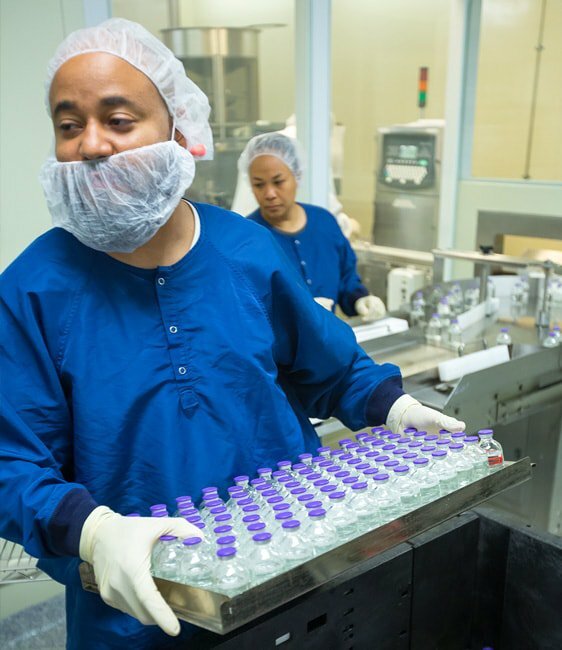 “When Ebola first broke, we quickly went to work on developing a vaccine, and in a few months, we had a product that was being made in our Baltimore facility, being released and shipped to Africa to be tested in the field to protect those people who were exposed,” said Abdun-Nabi. 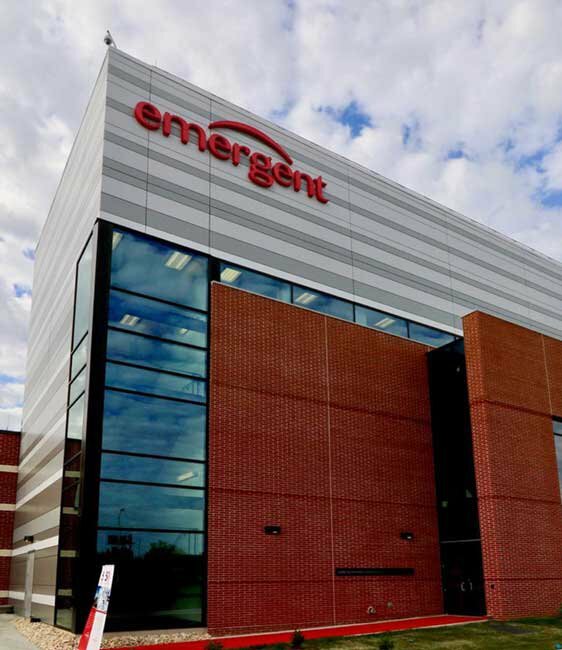 Emergent’s services include contract manufacturing of more than 20 commercial life-saving products at the company’s Camden facility, also in Baltimore. In 2017, five years after opening its Bayview facility, Emergent doubled its size at that location. The expansion prepares the company to: respond to the federal government’s demand for a surge in vaccine manufacturing; take on larger contracts for drugs in clinical development and sold in the commercial market, and accelerate development of its own pipeline of products. Already, the expansion is paying off. The company touted the acquisitions of two products in 2017: the only FDA-licensed smallpox vaccine, and an FDA-approved Anthrax therapeutic, which is expected to be the anchor commercial product for the Bayview facility. Strategic acquisitions, as well as nearby access to key customers, are critical to the company’s success, Abdun-Nabi says. And to support continued growth, the company benefits from a talented local workforce. With an intense focus on protecting and enhancing lives, the company is on a mission to impact 50 million people with its life-saving innovations by 2025. A Silicon Valley entrepreneur moved to the East Coast to start American Gene Technologies. Get to know this innovative biohealth company. Department 13's counter-drone technology keeps the bad guys out of the skies. Find out what the company does, and why they do it in Maryland.